We are excited to offer our very first mobile app exclusively for Windows Phone 7! This app is designed using Latin American Spanish and as such it does not contain “vosotros”. 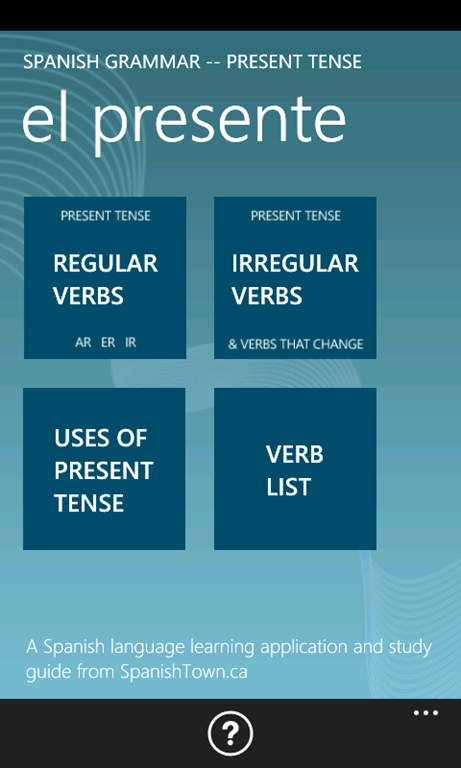 It is not a translation tool or “verb conjugation app”. This is our first foray into mobile apps so we welcome feedback. We picked Windows Phone 7 for a number of reasons. We love it from a consumer perspective, the developer tools are amazing and our apps won’t be lost among hundreds of thousands of other apps on other phones.